Founded in 2004, Banggood is a Chinese company that initially specialized in computer software research and development. From there it developed into an online retailer for almost everything you need to live a fun and happy life. The name is derived from their corporate philosophy of providing the best “bang for your buck” to their customers. Banggood is focused on providing low priced, high-quality products. They are known for providing professional service to their global customers. If you prefer one-stop shopping sites for all home, electronic, technology, and apparel needs, you’ll want to check out Banggood. When you shop during their One-day or two-day sales, you can enjoy even greater savings on their vast array of products. You can even browse and purchase using the Banggood iOS and Android apps. Why jump from site to site when you can get everything you need for less at Banggood? Banggood is more than just electronics and technology. If you can imagine it, there’s a good chance you can find it at Banggood for a reasonable price. Check out their full line of more than 80,000 products in categories like tech accessories, lighting, sporting goods, toys, clothing, home and garden products, health and beauty products, automobiles, computers, jewelry, watches, and intimate apparel. Just choose one of our Banggood promo codes and start saving on everyday electronics and items for the home. Find great deals on incredible items. 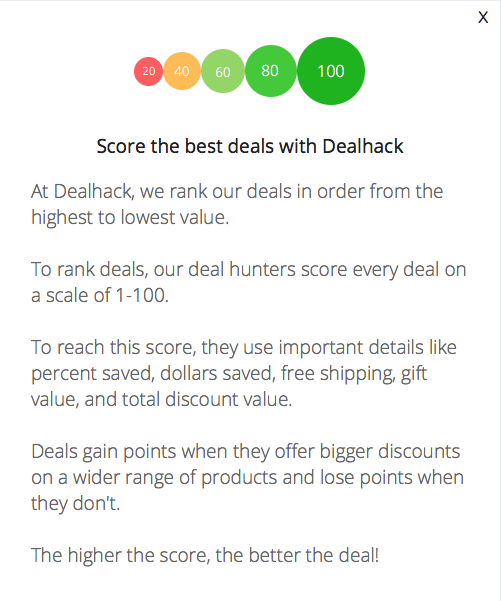 The next time you’re shopping online, visit Dealhack before you head over to Banggood to save money on their insane selection of quality products. Plus, if you need to find a different gift that’s sure to surprise someone, browse Banggood for wacky items like unusual alarm clocks and RC toys and hobbies. To get in touch with someone from Banggood, use their contact page. You can also get updates by following Banggood on Facebook, Instagram, and Twitter. Grab a coupon from this page and start shopping today. Have questions about product quality? Customer product reviews are featured on the site including written, photo and video reviews. If you are a fashion blogger, check out the Banggood Fashion Blogger Program to get up to $300 in free clothing per month for studying and writing about the latest clothing & apparel. Looking for low-priced items? You have lots of choices. In addition to clearance items, the company offers deals, coupons and $0.99 gadgets. These are perfect for kids parties or giveaways for special events. Check out the flash deals on the homepage. They usually last for 24 or 48 hours so be sure to act fast. Discounts can be as big as 70%. If you are looking for something in particular, you can easily search items within the detailed product categories. What is Today’s Best Banggood Promo Code? The best Banggood promo code right now is 441d83. This code is for '20% off FPV Gimbal and Spare Part'. Copy it and enter it on the Banggood checkout page to use it. Banggood stands behind their products with excellent customer service guarantees. If you purchase a product and find within 72 hours the price has dropped, they will refund the difference. Any item that arrives damaged or otherwise unsatisfactory can be returned for a full refund within three days or receiving it.